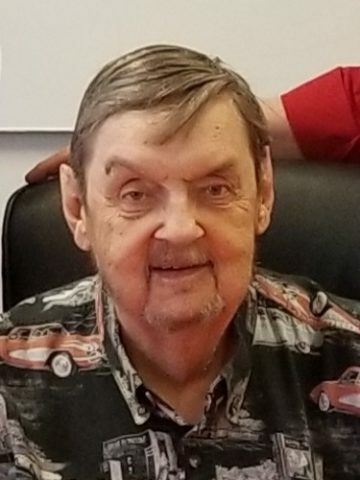 Donnie L. Scott, age 80 of Hendersonville, TN, passed away April 3rd, 2019. Mr. Scott was an Army Reserve veteran and was retired from a successful career as a mechanical engineer. He was an avid classic car enthusiast and coin collector. He also enjoyed playing poker and golf. His favorite way to spend his time was with his extensive family. Mr. Scott is preceded in death by parents, Ollie Lee Scott and Flossie Russell Scott; wife of 50 years, Linda Scott; brother Steven Scott and son-in-law Frank M. Isbell. Survived by brothers Jerry W. Scott (Hazel) and Timothy F. Scott; children Kelly Shatswell (Tommy), Tracy Isbell and Mitchell Scott (Karren). Mr. Scott is also survived by his grandchildren; Amity Hinson (Joseph), Victor Creech (Joslyn), Michael Creech, T.J. Shatswell (Jessica), Hailey Mitchell, Lauren Lassiter, Jordan Isbell, Landon Isbell, Brittany Moon (Kaleb), Austin Whidby and Zachary Scott, great –grandchildren; Blaze Lassiter, Hayden Shatswell, Makinzee Schmitt, Kensley Isbell, Layla Creech, Parker Shatswell, Jace Creech, Maci Shatswell, GraceLynn Isbell, Addison Scott, Jacob Moon, Dylan Creech, Lyle Hinson and Nora Scott. A celebration of life service for Mr. Scott will be held at Hendersonville Funeral Home on Thursday, April 11th at 11:00AM. Burial with Military Honors will follow the service. Visitation will be held on Wednesday from 4:00PM-8:00PM and again one hour prior to the service. Pallbearers include Victor Creech, Michael Creech, Jordan Isbell, Landon Isbell, Kaleb Moon, Austin Whidby, Zachary Scott and Blaze Lassiter. Honorary Pallbearers include Tommy Shatswell, Joe Crockett, Joseph Hinson, Bryan Scott, Andy Scott and Eric Scott. In lieu of flowers, memorial contributions can be made in Mr. Scott’s name to the Vanderbilt Children’s Hospital, www.childrenshospitalvanderbilt.org. I’m really sorry for your loss. May the Lord bless you all with Peace, Comfort and Strength. Arnie and I are praying for all of you. We are so grateful to have had the opportunity to visit with him at the hospital and give him some love and tender care. Our love goes out the entire family. We most certainly will not forget him. Much love, Jana and Arnie. So sorry for your loss. You all are in my prayers. Donnie was a great man to be around. He had such a great sense of humor, great conversations and a heck of a good poker player. I am thankful that I got to get a glimpse of a good man. I only had the pleasure of getting to know him for a year now, ever since he patronized my poker league at the Elks lodge. He will truly be missed at the poker tables and in life. I am so glad I got to celebrate his 80th birthday with him and the family. I am so sorry for your loss. The family is in my thoughts and prayers. My deepest condolences. So sorry to hear of Donnie’s passing. I have so many fond memories of Donnie since childhood. Enjoyed his visits with us when he was making trips to Winston-Salem. Always good to see him and reminiscence about “the old times”. He will be greatly missed but we pray that each of you will find peace and comfort in reflecting on all the wonderful memories with your loved one. Thank for your kind words. I remember coming to your house of clocks several times when I was young. I know my Dad really enjoyed his visits with you.